Home > Intresting > Global Catch Challenge Bronze rewards unlocked: catch counter says 500M catches! It’s been roughly a day and a half before the community managed to unlock this reward tier, arguably the most difficult one out of the three. We are now on route to unlock the 1.5 B and 3 B reward tiers. If you’re on the fence whether you should participate or not, we recommend you to get out your phone and start catching. Double XP is crazy, especially when combined with the new Box Sales that includes discounted Lucky Eggs and Lures. With the double XP and increased spawns, we expect that the global catch speed will increase significantly, making it much easier to reach the Silver and Gold reward tiers. We expect that Trainers will use the new Boxes and group up in order to Lure the hell out of this event. 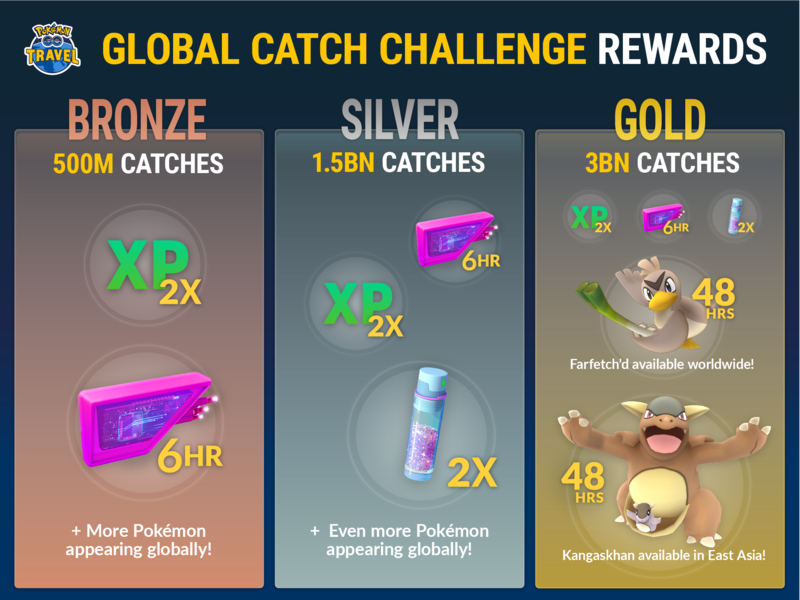 The post Global Catch Challenge Bronze rewards unlocked: catch counter says 500M catches! appeared first on Pokemon GO Hub.